Society Fair the bakery/cheese shop/restaurant/wine store/bar owned by the people behind Old Town establishments Restaurant Eve, PX and Eamonn’s is opening very soon. The “real press” over at Huffington Post got an inside scoop a few weeks ago, which you can check out here. I am of course excited for any addition to my neighborhood restaurant scene, but the article makes the whole endeavor sounds very mining company store-ish. They plan to sell the products (i.e. bread, sauces, marinades) they make in the restaurants and even serve diners of their “test kitchen” dishes made with products from the market. I can’t decide if it’s going to become my new quirky Old Town hangout or come off as an elaborate, fully-staffed advertisement for the company’s flagship Restaurant Eve. Well, we are going to find out soon! 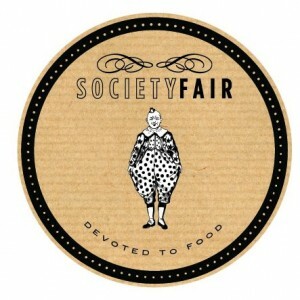 Their Facebook page announced Society Fair is hiring and appears to be opening in the next week or so. Speaking of quirky hangouts, my Evening Star Cafe is open again on Thursday. “The Star” as it’s affectionately called around the neighborhood, closed for renovation a few weeks ago, and the staff have been steadily blogging the progress. 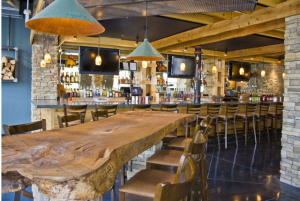 Now, it’s re-opening on Thursday evening with a new chef, who promises southern accents in every dish. The restaurant section of The Star is may be back, but I’m a bit concerned about the bar. I’m hoping it wasn’t demolished to make room for a bigger dining room. However, this shot of the new beer taps looks promising.